California’s Yosemite National Park is making visitors say “WOW!” again. It looks like fire is flowing down a cliff! This “firefall” happens for a few days every February. The setting Sun makes it look like Horsetail Fall (a small waterfall) is glowing. It appears like a flowing waterfall of lava. People travel to Yosemite just to stand near the waterfall. It flows down the granite face of the famous El Capitan rock formation. Conditions have to be just right for a firefall to happen. It can’t be cloudy or hazy. 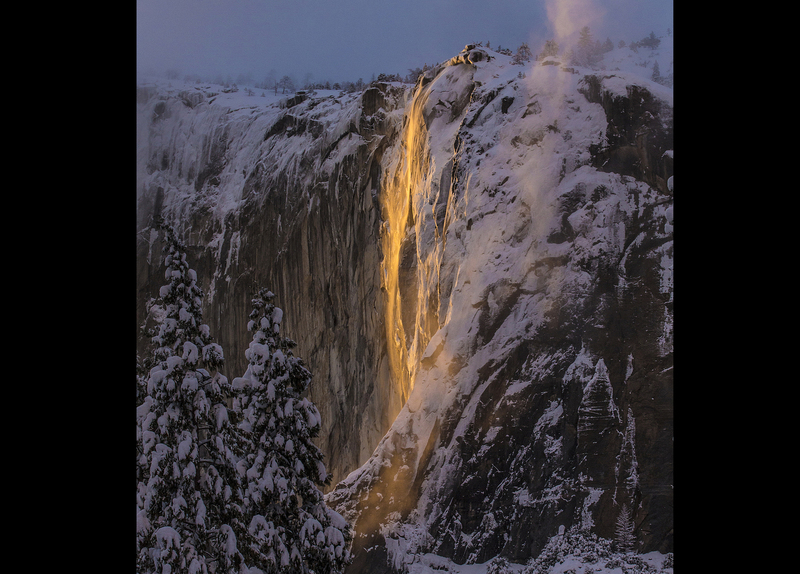 And there has to be enough rain or snow for Horsetail Fall to actually flow. That happens only in spring or winter. And visitors have to watch fast. At dusk, the Sun lights up the fall for only about two minutes!